King Krule’s (formerly Zoo Kid) second release brings with it, an expansion of vision, both musically and thematically. The connective tissue between these five tracks is still Marshall’s stark, direct lyrics, but over the span of the self-titled EP, there is an arresting sonic progression, as his songs open up to become a loose knit meditation and renewal of hope in the face of desperation. Shades of The Streets’ plainspoken and observant ramble dance with the heart on sleeve confessions of Billy Bragg. Archy’s influences are a patchwork for his voice to lay in, woven from several generations music as divergent as the 80s romantics, jazz, no wave and dub. The first vocal track ‘Bleak Bake’, for instance, opens with levitating keyboards and Marshall clearing his throat, before sampled strings and 808 drum ‘pooms’ swoon in and he sighs. ‘The Noose of Jah City’ drives the knife in deeper -some of his most intoxicating incantations to date- with Marshall singing of being “suffocated in concrete” over a lushly upholstered backdrop of chiming guitars and shuffling sampled beats. While in the gorgeous ‘Portrait in Black and Blue’ he unleashes a bounding piece of classic croon. But even though the subject matter may at times be harrowing, the songs themselves are never anything less than exquisitely crafted, possessed of an almost spectral beauty, as epitomised in the shimmering instrumental intro “363N63”. 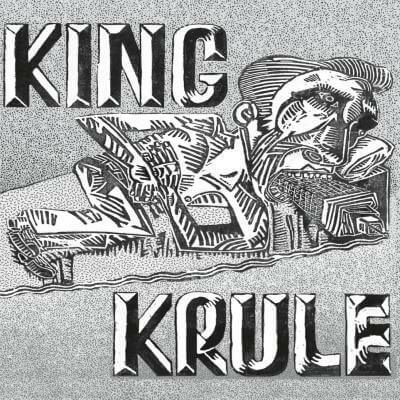 Taken as a whole, the “King Krule” EP is the sound of a young man growing up and attempting to grapple with the realities of the world he inhabits, and a fascinating, brutal journey it is too.